Håkan Hardenberger is one of today's greatest trumpet soloists, and a noted pioneer of new trumpet works, alongside the classical repertory. He performs with the world's leading orchestras, including the New York Philharmonic, Boston Symphony, Wiener Philharmoniker, Orchestra National de France, London Symphony, Berliner Philharmoniker, Symphonieorchester des Bayerischen Rundfunks, Swedish Radio Symphony and NHK Symphony Orchestra. Conductors he regularly collaborates with include Pierre Boulez, Alan Gilbert, Daniel Harding, Neeme Järvi, Ingo Metzmacher, Andris Nelsons, Esa-Pekka Salonen, John Storgårds and David Zinman. The works written for and championed by Hardenberger stand as key highlights in his repertory and include compositions of Sir Harrison Birtwistle, Brett Dean, Peter Eötvös, Hans Werner Henze, Luca Francesconi, HK Gruber, Rolf Martinsson, Olga Neuwirth, Arvo Pärt, Mark Anthony Turnage and Rolf Wallin. 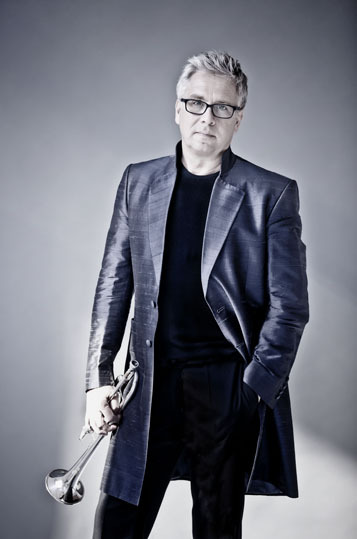 In recital, Hardenberger has key partnerships with pianists Roland Pöntinen and percussionist Colin Currie. Born in Malmö, Sweden, Håkan Hardenberger began studying the trumpet at the age of eight and continued his studies at the Paris Conservatoire and in Los Angeles. He is a professor at the Malmö Academy of Music.